25 years and counting!!! That’s how long we have been in the reptile business. We are dedicated to the meticulous maintenance of a clean facility and healthy animals. Clean cages, fresh water and quality food items are the foundations of successful husbandry. We don’t waver in our maintenance of our animals. We know reptiles. Almost everything we sell was produced by us. We provide you with animal history that few other breeders keep. When you need us, you can reach us. We are available to you before AND after the sale to provide information, advice and any guidance you need to help you maintain your animals. 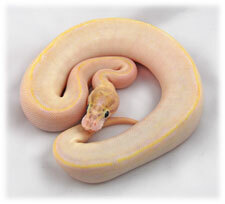 We’ve been keeping snakes for a long time and we are known in the industry. To put it plainly, we have a long track record of NOT screwing people over. By being honest with our clients and providing them quality animals at good prices we have developed a well respected reputation. We encourage you to ask about us. 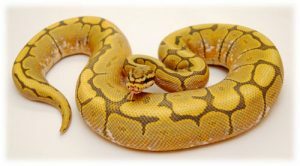 If you’d like, we can provide you with the names and contact information of other well-respected individuals in the reptile husbandry industry. Ask them about us. You will like what you hear. Sometimes we think we know how snakes tick. Sometimes we’re wrong. Through hands-on experience, participation in the reptile community and a willingness to always learn something new, ECRB is a student of the reptile. In turn, we are eager to pass on what we know. Whether sharing success and failures with other breeders or talking with a first-time snake owner, we are glad to be in the conversation.